The Ella Bistro Table is a stylish two-seater table with detailed metalwork including an expanding lattice, and a diamond design on the border. Our Ella Bistro Table is popular with our customers and has many glowing reviews. The table also comes with a choice of chairs so you can customise it, and make it your own piece. With a compact design the Ella Bistro Table works well on patios, smaller garden spaces, and even on balconies. 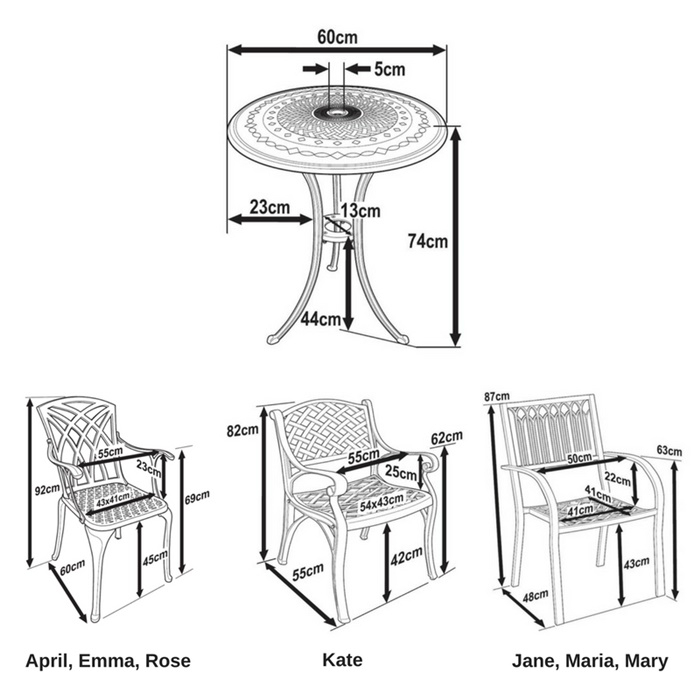 Where will you put your Ella Bistro Table? The Ella Bistro bistro table & 2 chair set in Slate Grey brings a subtle touch of contemporary class to our beautiful, classic-style garden furniture range. 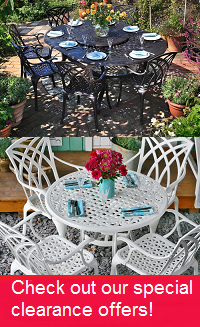 If you're looking to achieve the perfect picture of luxury in your garden, take a look at the Ella Bistro in brilliant White or our ever-popular Antique Bronze. I have just purchased a bistro set. Again, it is excellent quality. (I already have a 4 seater set and bench!). Everything was present in the order apart from one washer so very pleased with the order and delivery. I cannot fault this company and the quality of the furniture. It is even possible to buy touch up paint in case it gets scratched in the future. Perhaps a small sample of this could be included in the order? 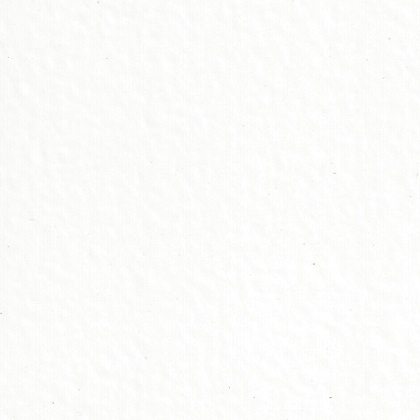 I dealt with customer services and the staff there were most helpful. Very pleased with my purchase! Great value for the quality of furniture received. Easy to assemble and well made. Great quality garden furniture. I ordered the bench and matching chairs and table. Well packed and arrived in a timely manner. Assembly was easy and well described. Set is lovely and will last long. Phoned them and service was polite and helpful. Free sample was really helpful as the slate seems to be different from picture to picture. Absolutely delighted with ordering process, quick & efficient delivery, ease of assembly and most of all the wonderful quality of the bistro set. First class service & product. I would highly recommend Lazy Susan furniture.